The Fifa sanction has been lifted while they appeal to world football’s governing body. LA LIGA SIDE Real Madrid have joined cross-city rivals Atletico Madrid in having their Fifa-imposed sanction against registering players temporarily lifted. Both Real and Atletico were hit with bans in January after Fifa’s Disciplinary Committee found them to be in breach of regulations “relating to the international transfer and registration of players under the age of 18″. Spanish champions Barcelona were hit with a sanction for a similar punishment in 2014, which expired this month. Both clubs have appealed the two-window ban, which is not due to take effect until the transfer window at the end of the 2015-16 season and the subsequent registration period in January 2017. After Atletico confirmed that the ban would be temporarily suspended while the appeal is ongoing, Real did likewise in an official statement. “Real Madrid CF announced that the Fifa Appeal Committee has decided to provisionally suspend the sanction imposed on the club,” the club said. In Barca’s case, the club appealed to Fifa shortly after the decision was made in April and, when the sanction was suspended, they were permitted to make signings prior to their treble-winning 2014-15 season. 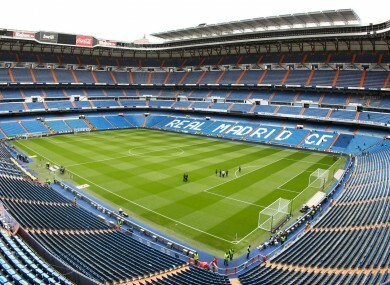 Email “Real Madrid transfer ban suspended during appeal”. Feedback on “Real Madrid transfer ban suspended during appeal”.